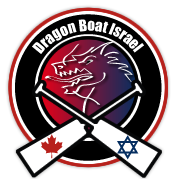 Home Daily Brief	The Israeli Flotilla: Dragon Boat Festival in Israel organized by Ottawans. The Israeli Flotilla: Dragon Boat Festival in Israel organized by Ottawans. Dragon boat races and festivals are held in 70 countries, but never before in Israel. This is about to change! Dragon boat racing is the fastest-growing water sport in the world. Twenty paddlers, a drummer and a steersperson move in unison, combining strength with teamwork, in a boat whose elaborate design originates in ancient China. The CBC talks to the organizers of this flotilla who hail from Ottawa.